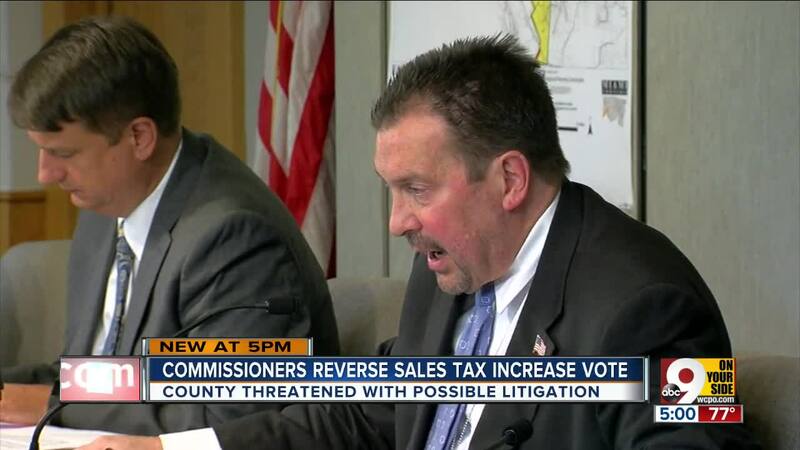 CINCINNATI -- There'll be no sales tax hike after all. Hamilton County commissioners voted unanimously Wednesday to rescind a 0.2 percent increase that was the subject of a likely referendum . It also removes what was expected to be a factor in driving Republican turnout this fall as incumbent U.S. Rep. Steve Chabot, R-Westwood, faces a challenge from Democratic Clerk of Courts Aftab Pureval. The county will have to find a new way to tackle its projected $28 million deficit. County Administrator Jeff Aluotto said the sales tax increase was needed because there was little left to trim after years of cuts. He actually wanted a slightly higher increase: 0.25 percent. Commission President Todd Portune and Commissioner Denise Driehaus, both Democrats, pointed to the possibility the hike could be tangled in litigation. A law firm recently sent them a letter indicating their process of passing the sales tax increase was in violation of state law. "If we are in a legal contracted battle for two or three years, we are not going to be collecting sales tax during that time," Driehaus said. "I am frustrated. The legal challenge came and I said, 'Oh, God.'" "We don't have the luxury of time to allow for another year or two to go by where we're pinning our hopes on a matter that is being challenged in court," Portune added. 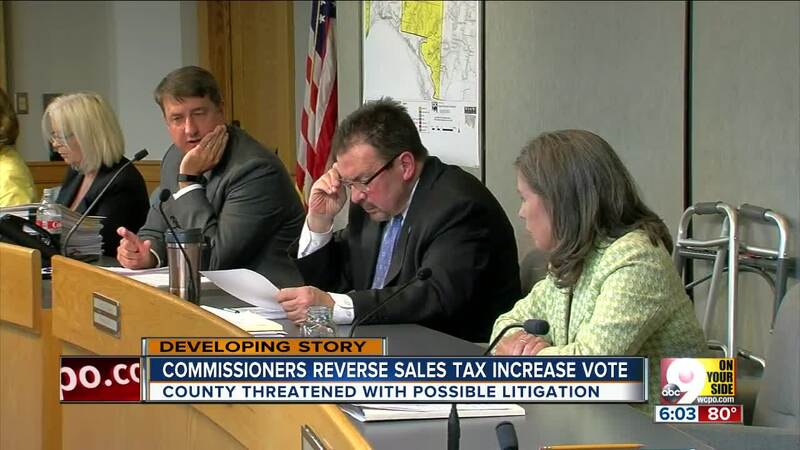 The commission's lone Republican, Chris Monzel, had initially voted against the sales tax hike and joined the two Democrats in voting to rescind it. "We have a lot of work to do here over the next few months," he said. "First, we really have to look at the budget and what the need is right now." Aside from a possible lawsuit, the matter seemed likely to end up on the ballot this fall. People gathered tens of thousands of signatures to force a vote on the hike and said Wednesday they believed they had enough. 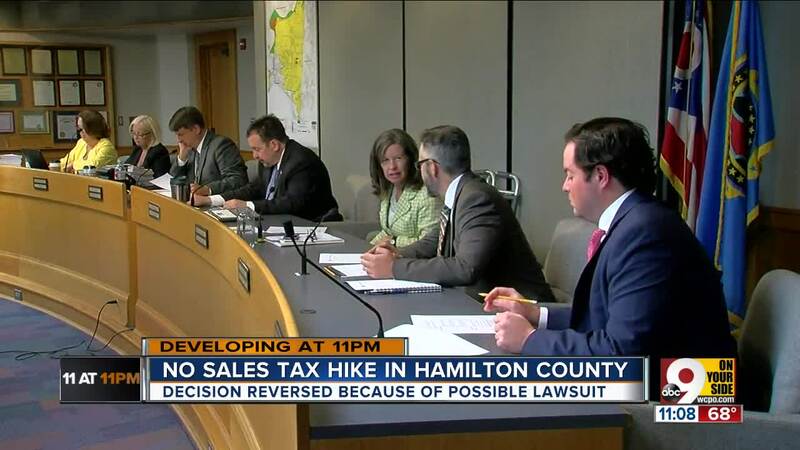 Hamilton County GOP Chairman Alex Triantafilou said the rescinding of the tax is "a huge win for taxpayers." "While we celebrate our efforts as successful in forcing fiscal accountability on the ruling Democrats, we are concerned that they will come back to this poor decision-making model in the future and force us to go to referendum again," Triantafilou said in a written statement. Although Pureval didn't have a hand in passing the hike, it was clear Republicans intended to use it as ammunition against him in his bid to unseat Chabot. Several people held signs reading "Aftax" at a news conference when they dropped off the signed petitions Downtown. Nixing one apparent political snarl still leaves the commission facing the titanic task of plugging their budget hole. 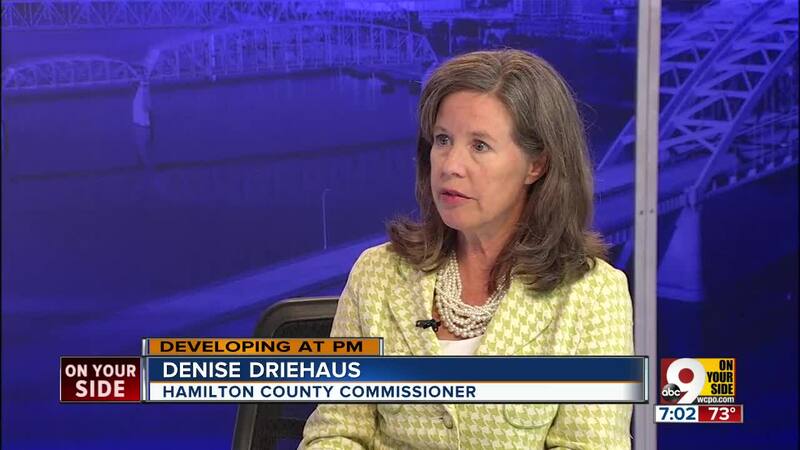 According to Driehaus, commissioners are now investigating a possible 17 percent reduction in all county spending. "It's a bad spot to be in," she said. "We tried to avoid it."